It is always important to separate the truth from fiction, especially when we are talking about vision. When you know how to take care of your eyes, you are taking a great step toward protecting your eyesight. When it comes to prescription safety eyewear, there are several myths that we want to dismiss. It will not matter what type of side shield you will add to your prescription safety glasses, they cannot give you the protection you need when it comes to dealing with workplace safety hazards. In order for your prescription safety eyewear to be approved, your glasses will need to meet the standards that have been set aside by EN. Prescription safety glasses will not damage your vision. 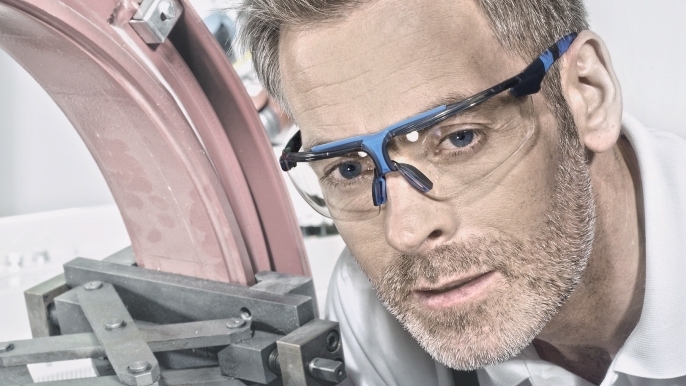 Unfortunately, many people have a problem with safety glasses for many reasons. One of the reasons for the headaches or the squinting could be because of an incorrect or outdated prescription. Before giving up on prescription safety eyewear and thinking you would be better off without them, you should consult with your optometrist to talk about your prescription. The tint that we see on glasses was created to improve our visibility and increase comfort; it is not there to protect our eyes from the sun. Standard clear prescription safety spectacles from Ultimate Optical have sufficient UV filters that will protect your eyes against the full spectrum of UV light. Thankfully, we can find prescription safety glasses that are made with polycarbonate or trivex lenses. These lenses do an outstanding job of blocking sunlight, giving us the UV protection we need. Permanent tints are available for those working outdoors as well as transition lenses for those working indoors and outdoors. Did you know that a large percentage of eye injuries do not just occur in the workplace? A large number of eye injuries occur at home. Many people feel they do not need to wear their prescription safety glasses when they are at home because they feel there will be no threats when they are just doing work around the house or in the yard. Just as many eye injuries can occur when you are in the comfort of your own place as they could when you are in the workplace. Hazards are all around, and it does not matter where you are or how many precautions you take. Anything can happen at any given time. This is why it is so important to wear your prescription safety eyewear whenever you know there is a chance of you getting an eye injury. Even if you are not the one doing the hard work, if you are going to be around someone who is doing something in the yard or in the home, you should also wear safety eyewear. This also applies to children who wear prescription eyewear. It is highly recommended that children who participate in certain sport activities like squash or field hockey wear prescription safety eyewear to avoid serious injury to their eyes.